After a winter of fermentation and a springtime of planting, we are now ready for a busy summer and fall, harvesting new ideas and actions. The past months have been very productive and innovative. We are excited about the work going forward and to be working with you! 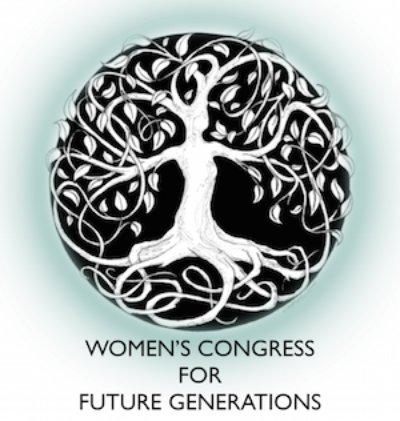 In this issue of the , we are delighted to send you a Summary of the 2014 Women's Congress for Future Generations. I believe you will find it a compelling reminder of why this event touched our hearts so deeply. Much of the work we are now engaged in took root at the Women’s Congress and is now bearing fruit! Thank YOU! 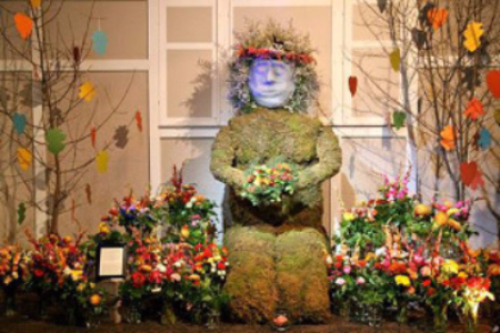 This fall we have two special events in the Twin Cities. Read on to learn more about these two exciting gatherings! Thank you for your camaraderie over the winter to allow for the fallow time that is so necessary when doing this important work. One of the gifts of the Feminine in each of us is the reminder that we must honor the need for deep inner work or the fruit of our work will not mature and be full of flavor! May each of you find your place in the movement that is nothing less than an ‘all hands on deck’ moment. Together we are powerful beyond measure. An all-day workshop on Saturday, September 19th where we will share with you the Women’s Congress Companion for Political Change, and take a deeper dive in how to use the Legal Principles for Mining, Fracking, and Pipelines: Defending our Communities and Future Generations (more below). At a gathering on May 21st, Carolyn shared the Legal Principles for Mining, Fracking, and Pipelines to an audience of over 150 people and received a standing ovation. Attendees asked valuable questions, many of which will guide this workshop. It’s clear there is a deep hunger for opening new spaces for our work, for aligning the law with justice. At the 2014 Congress, we rediscovered the power of moral clarity – now it’s up to us to do the hard yet rewarding work of putting that into action! To be effective, the 'hows' must be on the edge of the unknown, as we learn to live with uncertainty. Our work includes becoming keen observers of what works, what doesn’t and adjusting our strategies accordingly. Free, Prior and Informed Consent – and how to withdraw consent! We'll also deep dive into the 'how to's' of applying these ideas, which can only be sourced from each other's unique experience and wisdom. As the dark-seeing owl says: Power is in communion. Wish to read more about the Legal Principles? for Mining, Fracking and Pipelines: Defending our Communities and Future Generations. 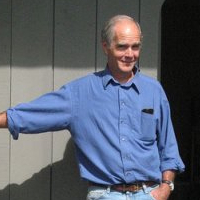 We’ll host a special evening with Ted Schettler, MD, MPH, Science Director of SEHN, the ‘doctor on call’ to the environmental health movement.